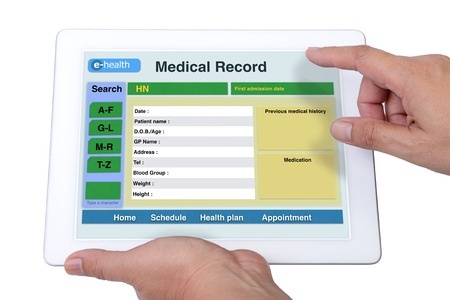 A recent survey commissioned by personal clinical engagement platform vendor, HealthMine, indicates patients are still finding it difficult to gain online access to their healthcare data, even though the majority of healthcare providers store healthcare data in digital form. 2013 data suggest that 78% of healthcare providers use EHRs and could therefore conceivably provide online access patient medical data. The recent survey was conducted on 502 consumers that intended to enroll in a 2016 health plan. The survey took place between October and November, 2015. The results of that survey show that over half of consumers (53%) do not yet have online access to their medical records, and almost a third (32%) of Americans have difficulty accessing their medical records. 31% of respondents indicated they have trouble accessing biometric information, 29% said they struggled to gain access to lab records and insurance information. A quarter of respondents had trouble accessing their prescription history. 74% of Americans believe that having access to all of their clinical notes and medical records would help improve communication with their healthcare provider, and would help them to understand more about their own health. 60% of respondents were not sure if they had access to all of their medical records. A previous survey indicates as many as 65% of consumers who are not currently allowed online access to their medical records said that they thought it was important to have online access. Furthermore, that study indicated that when access to medical records is provided, 8 out of 10 patients use their access rights and view their own medical data. While many patients believe they are entitled to gain access to all information stored in their EHRs, as well as notes made by physicians, that point of view is not shared by many healthcare professionals. While there is no question that data must be provided to patients under HIPAA, many feel that the information stored in EHRs would not actually benefit the patient if it was accessed. In fact, it may cause patients to suffer stress or anxiety as a result. Some physicians believe that patients would view their medical records and demand to receive further medical services or examinations which are unnecessary. Physicians have enough difficulty dealing with patients that have been overactive on Google and health websites. Some healthcare organizations believe that the provision of direct access to medical records and clinical notes will help to empower patients and get them to take greater interest in their own health. A joint $10-million initiative launched by the Robert Wood Johnson Foundation, Peterson Center on Healthcare, Gordon and Betty Moore Foundation, and Cambia Health Foundation, aims to give 50 million U.S. healthcare patients online access to their clinical notes. It is believed that by allowing patients easy access to their healthcare information they will be more active in their own healthcare. As a direct result, patient outcomes can be improved and the cost of healthcare provision can be reduced. Under the HIPAA Privacy Rule healthcare providers must supply patients with a copy of their medical records on request; however, HIPAA Rules do not stipulate that patients be provided with online access to their healthcare data. Patients may want online access to their data, but healthcare providers are under no obligation to provide it.